Earn Your Workplace Productivity Specialist Certificate! 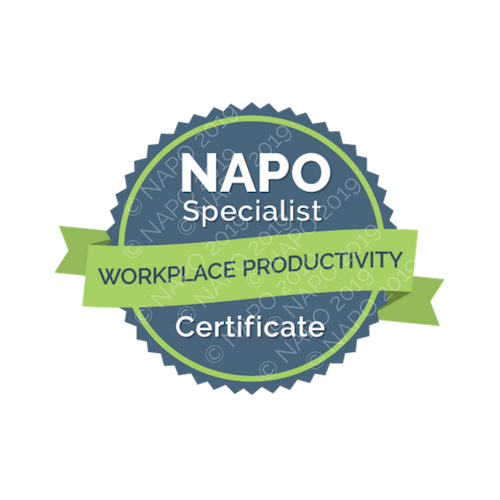 This bundle is designed to help you on your journey towards earning a NAPO Workplace Productivity Specialist Certificate. Complete the 8 required classes to earn your Workplace Productivity Badge, and enjoy the rest of the productivity classes at your leisure! Please note: In order to earn a NAPO Specialist Certificate, you must be a Professional Member of NAPO.